Soon after we moored in Admiralty Bay, Jeremy (Fortitude's captain) went for a swim. When ha came back out of the water, we was carrying a small glass jar that an octopus had turned into its home. Jeremy dumped the octopus on the deck for us to gawk at. 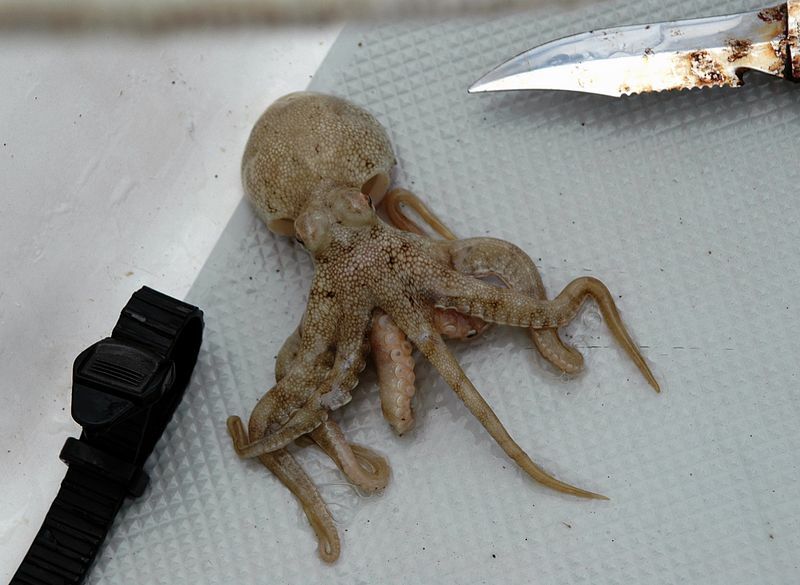 In this picture, you can get a feel for the size of the octopus, next to a writs watch and a small knife.